Jeb Jeutter is the shareholder of Gerald A. Jeutter, Jr., Attorney at Law, PA and practices in all aspects of business law, particularly in the area of financial restructuring. Jeb received his LL.M. in securities regulation from Georgetown University in 1987 and his J.D. from Mississippi College School of Law in 1985. He is presently active in his church, at William Peace University and on the board of the Haiti Outreach Ministry. 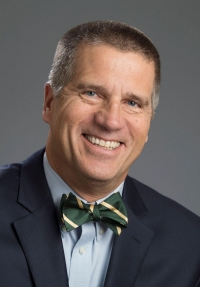 Previously, he has served Wake County Parks and Recreation Commission as chair, and on the boards of Habitat for Humanity and the American Lung Association of North Carolina, among others. Jeb has been married to his wife Michelle since 1989, and they have three children, Cameron, Bailey and Trey.